No man should be denied leave of attaching himself to the rites of the Christians, or to whatever other religion his mind directed him, that thus the supreme Divinity, to whose worship we freely devote ourselves, might continue to vouchsafe His favour and beneficence to us. 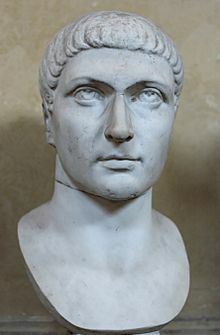 Flavius Valerius Aurelius Constantinus (c. 27 February 272 – 22 May 337), commonly known as Constantine I, Constantine the Great, or Saint Constantine, was Roman Emperor from 306 to 337. 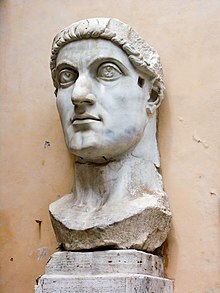 Well known for being the first Roman emperor to convert to Christianity, Constantine reversed the persecutions of his predecessor, Diocletian, and issued the Edict of Milan in 313, which proclaimed religious liberty throughout the empire. If any Jew has purchased and circumcised a Christian slave or one of any other sect than his own, he shall not keep the circumcised slave in servitude, but the man who has suffered this outrage shall be granted the rights of liberty. If a Jew has bought and circumcised a Christian slave or one belonging to any other religious community, he may under no circumstances keep the circumcised person in slavery; rather, whoever suffers such a thing shall obtain the privilege of freedom. Some time ago a most salutary sanction of our constitution was promulgated, which we now make doubly noteworthy by the repetition of our law. If any Jew has acquired a Christian slave or one belonging to some other religious community, and has not shrunk from circumcising him, let the circumcised person, according to this decree, attain his freedom and enjoy its privileges. It is not right that a Jew who has circumcised a slave of this kind should keep him in slavery. Each one may have the free opportunity to worship as he pleases; this regulation is made we that we may not seem to detract from any dignity or any religion. BY keeping the Divine faith, I am made a partaker of the light of truth: guided by the light of truth, I advance in the knowledge of the Divine faith...I profess the most holy religion; and this worship I declare to be that which teaches me deeper acquaintance with the most holy God; aided by whose Divine power, beginning from the very borders of the ocean, I have aroused each nation of the world...through my agency to a far happier state. How pleasing to the wise and intelligent portion of mankind is the concord which exists among you! And I myself, brethren, am disposed to love you with an enduring affection, inspired both by religion, and by your own manner of life and zeal on my behalf. It is by the exercise of right understanding and sound discretion, that we are enabled really to enjoy our blessings...Indeed, amongst brethren, whom the selfsame disposition to walk in the ways of truth and righteousness promises, through the favor of God, to register among his pure and holy family, what can be more honorable than gladly to acquiesce in the prosperity of all men?...O holy faith, who givest us in our Saviour's words and precepts a model, as it were, of what our life should be, how hardly wouldst thou thyself resist the sins of men, were it not that thou refusest to subserve the purposes of gain! In my own judgment, he whose first object is the maintenance of peace, seems to be superior to Victory herself; and where a right and honorable course lies open to one's choice, surely no one would hesitate to adopt it. I ask then, brethren, why do we so decide as to inflict an injury on others by our choice? Why do we covet those objects which will destroy the credit of our own reputation?...Lastly, in accordance with your usual sound judgment, do ye exhibit a becoming diligence in selecting the person of whom you stand in need, carefully avoiding all factious and tumultuous clamor; for such clamor is always wrong, and from the collision of discordant elements both sparks and flame will arise. I protest, as I desire to please God and you, and to enjoy a happiness commensurate with your kind wishes, that I love you, and the quiet haven of your gentleness, now that you have cast from you that which defiled, and received in its place at once sound morality and concord, firmly planting in the vessel the sacred standard, and guided, as one may say, by a helm of iron in your course onward to the light of heaven. It is one thing acting with free will to enter into contest for immortality, another to compel others to do so by force through the fear of punishment. No one should greatly trouble another, rather, everyone should follow what his soul prefers. The first person to establish public clinics throughout the Roman Empire where the poor, the injured and the helpless received medical care, was the Emperor Constantine. This great king was the first Roman ruler to champion the Cause of Christ. He spared no efforts, dedicating his life to the promotion of the principles of the Gospel, and he solidly established the Roman government, which in reality had been nothing but a system of unrelieved oppression, on moderation and justice. His blessed name shines out across the dawn of history like the morning star, and his rank and fame among the world's noblest and most highly civilized is still on the tongues of Christians of all denominations. Constantine may have been a lifelong pagan but he was also a pragmatist and in 325 Anno Domini he decided to unify Rome under a single religion, Christianity.… And to strengthen this new Christian tradition, Constantine held a famous ecumenical gathering known as the Council of Nicaea, and at this council the many sects of Christianity debated and voted on well, everything from the acceptance and rejection of specific gospels to the date for Easter to the ministry of sacrament, and of course, the immortality of Jesus. Akiva Goldsman, in the screenplay for The Da Vinci Code. In principle he (Constantine) treated religion as a matter of choice and conscience, an arena free of state meddling...Liberis mentibus — "With Free minds" — all are to worship their Gods. It is a remarkable policy, an unexpected one, since it would have been natural for a ruler after his conversion to Christianity to shift all the previous relations. 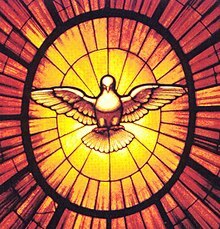 … Most of the apologists who defended the Church in the early centuries advocated freedom of religion...the latin rhetor Lactantius developed a theological arguement for religious freedom. Lactantius was close enough to Constantine later to serve as tutor to the emperor's sons, and his influence is evident in many ways in Constantine's own writings. …He (Lactantius) asked those who believed in compulsion of religion: "What good can you do, then, if you defile the body but cannot break the will?" It is a surprisingly modern statement, arguing, that religious freedom is the "first freedom", rooted in the very nature of religious life as an exercise of free will...Under Constantine's policy of concord, the Church was flooded with new converts, not through coercion but by force of Imperial example...Eventually, Christian Emperors abandoned Constantinian religious policy... Constantine favoured the Church but gave serious attention to protecting the rights of non-Christians. One cannot help but muse how European history would have been different if Christians had had the patience to let Constantine's original settlement alone. It is a bitter thought, how different a thing the Christianity of the world might have been, if the Christian faith had been adopted as the religion of the empire under the auspices of Marcus Aurelius instead of those of Constantine. For the early Church, "church" and "world" were visibly distinct yet affirmed in faith to have one and the same lord. This pair of affirmations is what the so-called Constantinian transformation changes (I here use the name of Constantine merely as a label for this transformation, which began before AD200 and took over 200 years; the use of his name does not mean an evaluation of his person or work). The most pertinent fact about the new state of things after Constantine and Augustine is not that Christinas were no longer persecuted and began to be privileged, nor that emperors built churches and presided over ecumenical deliberations about the Trinity; what matters is that the two visible realities, church and world, were fused. 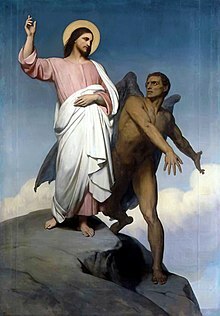 There is no longer anything to call "world"; state, economy, art, rhetoric, superstition, and war have all been baptized.